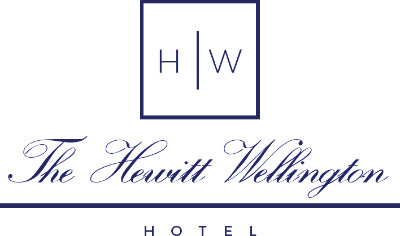 No matter what time of year, the Hewitt Wellington Hotel is your premiere accommodation for staying in Spring Lake New Jersey. Our guests visit for many reasons such as enjoying a relaxing beach getaway on the sandy East coast shores, family reunions, wedding parties, or events with guest accommodations. Staying at our Hotel is truly a one of a kind experience you will never forget. There is parking in the rear of the hotel. If you are facing the front of the hotel the driveway is to the right. Please use these spots first. If the spots in the rear of the hotel are taken, you may park in the angled spots directly in front of the hotel. Additional parking is available between May 1st and November 15th in the angled spots by the triangle garden. Parking on residential streets overnight is prohibited and will result in a parking ticket. Parking on busy weekends in the summer may get crowded. If all of the above parking areas is filled, you may park on the east side of Ocean Avenue at the beach 2-3 blocks away. Due to the hotel's popularity, it is recommended to bring one car per reservation. *Room 29 and 30 have a check-in of 4 PM and a check-out of noon. Early check-ins and late check-outs are based on availability and may incur an additional fee.- Please contact the front desk for additional information. As a historic building, we do not have ramps or elevators. We apologize for the inconvenience. A 50% deposit will be taken at the time of booking. The balance will be due at check-in. Cancellation 15+days prior to arrival deposit refunded minus $25 processing fee. 2-14 days prior to arrival – no refund of deposit. 0-1 day prior to arrival – payment of entire stay will be taken. November 1st - March 1st- 7+ days prior to arrival deposit refunded minus $25 processing fee. 3 days prior to arrival- no refund of deposit. 0-2 days prior to arrival payment of entire stay will be taken. If you have any further questions or if we can be of assistance in anyway, please call us or send us an email message.